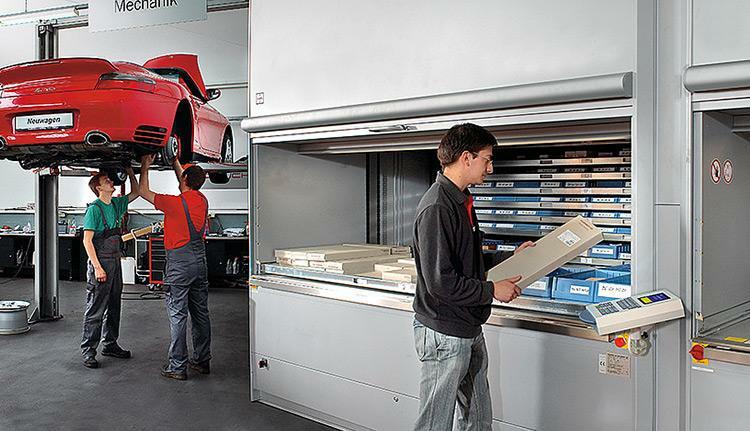 Our Automotive Vertical Lift Modules increase storage capacity while freeing floor space by storing vertically. Our vertical lift modules are an automated storage and retrieval system based on the principal of “goods to the user”. 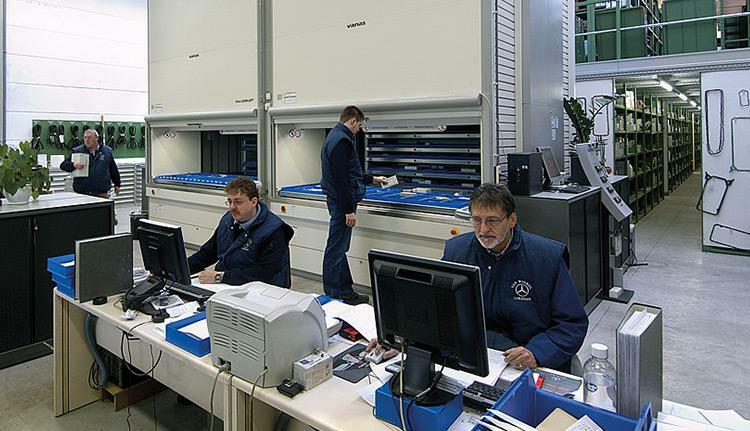 The vertical lift modules store automotive inventory on a series of moveable pans that are brought to the access point upon request when removing items. 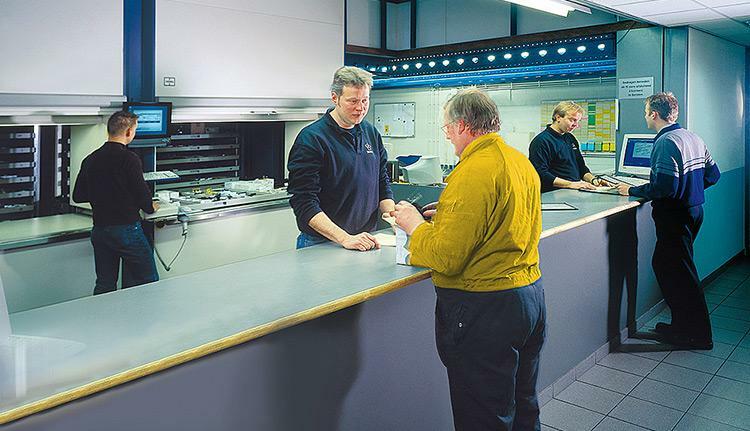 When placing items into storage, the height of the items is automatically measured, and the vertical lift module determines the optimal storage location within the unit to store the pan. This eliminates wasted space between shelves and maximize available space at all times. 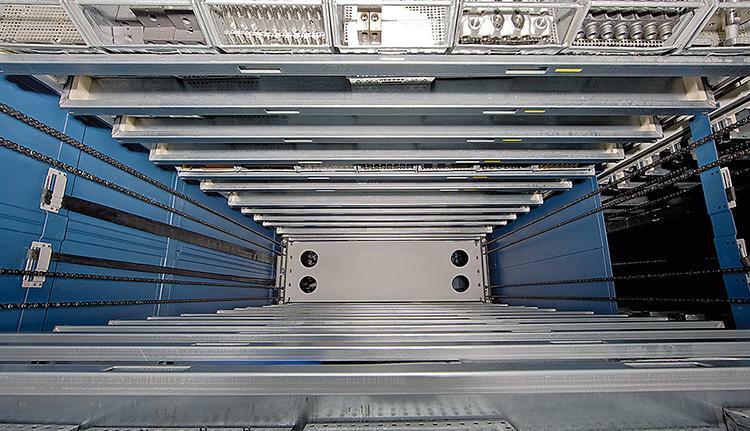 Our automotive vertical lift modules free floor space by storing vertically, often with multiple access points spanning several floors. All vertical lift modules can be equipped to hold over 2,200 pounds per pan with a total capacity of over 132,000 pounds. Pans can be equipped with a variety of bins and dividers for storing small parts, or with specialized holders for bits, tools, dies or forms.